All Club Athletes competing in this National Senior & U17 Championships produced a number of great performances, producing 8 PB’s, 1 Silver and 1 Bronze Medal. 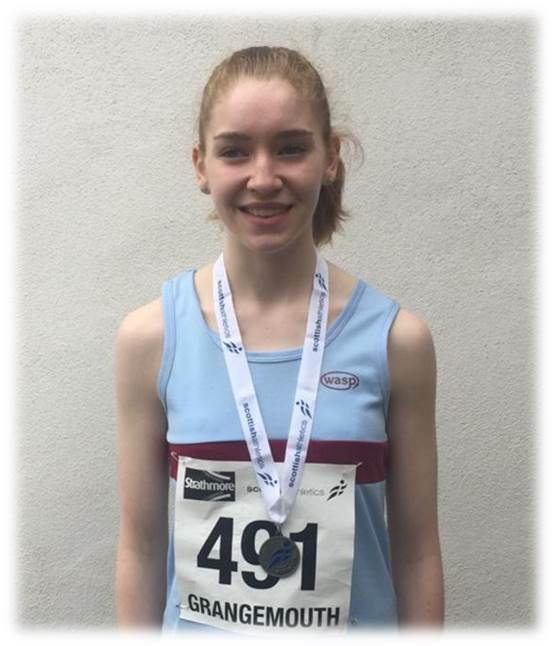 Up First for the Club was Sophie Hanlon in the U17 Woman 300m Hurdles, who produced an excellent performance in the heats into a strong head wind, comfortably qualifying for the final in a time of 50.05. Sophie later went onto also compete in the 80m Hurdles, where she ran a seasons best of 13.09, just missing out on the final. Next up was Beth Tobin in the U17 Woman 100m heats where she an excellent new PB of 13.07. This was followed up with yet another great run in the Semi- Final, just missing out in a place in the final. Beth also joined Sophie in the U17 Woman’s 80m Hurdles, producing yet another PB performance of 12.41 taking her into the Final, which she ran well coming in 6th place. In his first season running the 400m Hurdles, Sean Kennedy produced a strong run in the Final against a good experienced group of Athletes. The first medal for the 2016 National Championships came with an excellent executed 800m race by Lucy Somerville. In blustery conditions Lucy’s tactics were perfect, she ran with great confidence in her heat comfortably coming through 3rd fastest overall. In the 400m, the Club had 3 Athletes competing – Hamish Coutts and Jack McCleneghen in the U17 Men’s race and Lewis Brown stepping up from the U20’s to compete in the Senior Men’s competition. Both Jack and Hamish ended up on the same Heat with Hamish coming out on top finishing 2nd with his best outdoor time of 55.46, which was good enough for him to proceed to the Final with Jack unfortunately Jack just missed out. In the final itself Hamish came a credible 6th place in a slightly slower time than he ran in his heat. Haven ran in the National Senior Championships 400m event last year and coming 5th overall, Lewis was up against a very strong field. Continuing his great season, he won both his Heat and Semi Final for this time to go one place further in Day 2 in the final, coming a fantastic 4th place in a time of 48.45 just missing out in a medal. Cameron Richardson, also running up from U20’s to compete in this year’s 1500m Senior Men’s race, put in a good performance finishing in the top 10 of his heat with a time of 4.08.51. Other than Lewis Brown, there was another Club Athlete who competed over the two days, Thomas O’Hear. Having overcome a number of problematic injuries in the close season, Thomas used the National Championships to re-baseline where he was from a recovery perspective in both his speed and horizontal jumps by competing in 100m and Triple Jump in Day 1 and the 200m and Long Jump in Day 2. In all events Thomas did really well, in 100m he ran an excellent new PB 12.75, in the Triple Jump another new PB of 10.52, 200m 26.00 and in the Long Jump 5.08m – great set of performances. 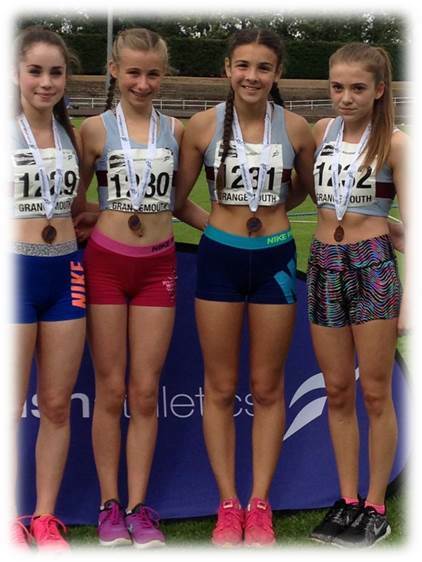 Last but not least, the U15 Girls 4x100m Team, Aimie Hendry, Nikkala Humphreys, Emily Miller and Hannah Wallace produced two fantastic performances to win Bronze medals in the National 4x100m Championships. On behalf of all the Club’s Coaches – well done to all those competed! !